Sheila Daley, owner of the Barrett Bookstore. 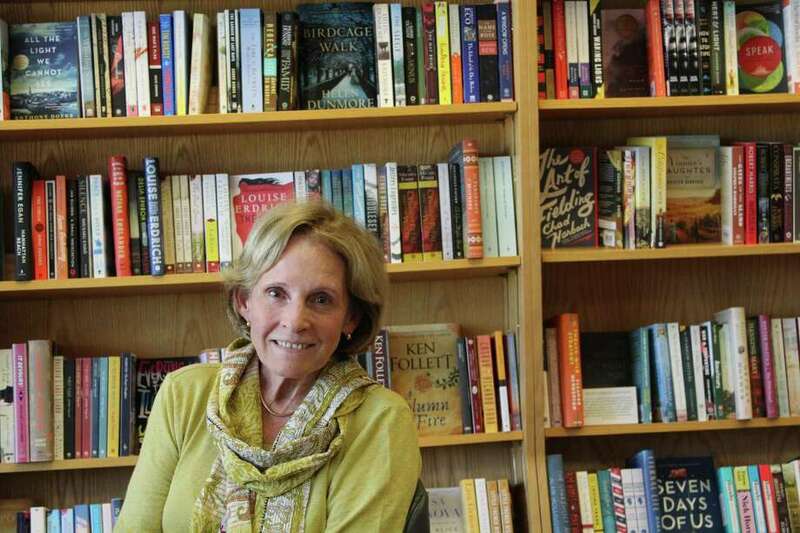 DARIEN — Even as a young girl, Sheila Daley dreamed of one day having a bookstore. Daley, a 74-year-old town resident, said she has owned the store for 21 years. David Rose had previously owned the bookstore for many years, and then allowed a young couple from Texas to run the store for two years. The young couple left a lot of creditors and the store in bad shape, she said. When Daley and her husband came into the picture in 1997, there was work to be done. Things went very well for the first five to six years, she said. Then e-books came onto the scene and Amazon became larger. “There was a lot of moaning and groaning in the publishing world saying this is the end of the book as we know it,” Daley said. Recently these fears have subsided, as Daley believes the e-book has, in some ways, plateaued. She said people’s constant exposure to screens at work and in their daily lives may have contributed to this. Daley said Barrett Bookstore is a place people can come and talk about books they’ve read and enjoyed. Staff at the bookstore also give their recommendations to customers and discuss books they’ve enjoyed, she said. Daley said the bookstore provides a place for customers to come in and feel open to discussing these type of events. Growing up as one of nine children, Daley she said she was an indifferent reader until one family vacation. While on a trip to Bermuda, the weather took a turn for the worse — it rained the entire time, ruining some of the family’s plans. Daley said her mother gave her book to take her mind away from being stuck in a small cottage. “It was a revelation to me,” she said. Her mother would go on to be a major influence and the main reason for her passion for reading. Over the years, the books Daley loved changed. At first she loved reading mystery novels, but over time she fell in love with reading biographies. Daley said every bookstore has their own character and clientele they cater to. Daley said she is still unsure if clientele is attracted by the inventory a bookstore has or if the inventory has to be tailored to customers that come in. Daley said independent bookstores are returning despite the presence of Amazon and e-books.